When women go through menopause, the symptoms often seem unbearable. So doctors rarely hesitate to prescribe the quickest fix. Unfortunately, this quick fix can kill you. In fact, a new study suggests that this fix can increase your risk of breast cancer by 30%. And it can double your risk of death. This quick fix, of course, is the synthetic hormone PremPro. 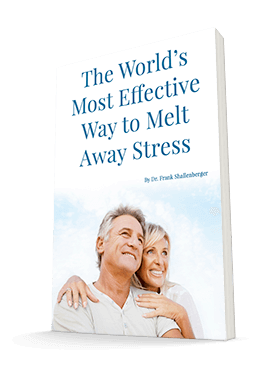 PremPro is the most commonly prescribed drug given to women for menopausal symptom relief. It is a combination of synthetic estrogens and a drug called medroxyprogesterone. It’s not really a hormone, but a drug that alters your body’s chemistry and, as a result, reduces menopausal symptoms. The authors of this new study followed 16,608 women. They were all part of the huge Women's Health Initiative Study. In this part of the study, the researchers gave half of the women PremPro. The other half took a placebo. The women took their prescription for an average time of 5.6 years. And the researchers monitored the women for an additional 7.9 years on average. What they found was nothing short of startling. The PremPro group ended up having almost 30% more cases of breast cancer than the placebo group. The cancers were also more likely to spread. The cancers spread to the lymph nodes about 50% more often in the PremPro group. And, as I mentioned earlier, it gets worse. The death rate from breast cancer in the PremPro group was more than double that of the placebo group. The authors published these results in the Journal of the American Medical Association, a very prestigious journal. So doctors shouldn’t ignore it – but they probably will. If you are taking PremPro or the generic equivalent, stop it. Tell your doctor that you want a bio-identical hormone combination of estradiol, estriol, and progesterone. A recent study on using this bio-identical combination on 85,000 women for eight years shows no increased risk of breast cancer. And they work as well as — or even better — than the synthetic hormones. It’s too bad for Big Pharma, because they can't get a patent on bio-identicals (they’re natural). But they’re good for you. You can learn all about the many benefits of taking bio-identical hormones on my website. REF: Chlebowski RT, Anderson GL, Gass M, et al. Estrogen plus progestin and breast cancer incidence and mortality in postmenopausal women. JAMA. 2010 Oct 20;304(15):1684-92.